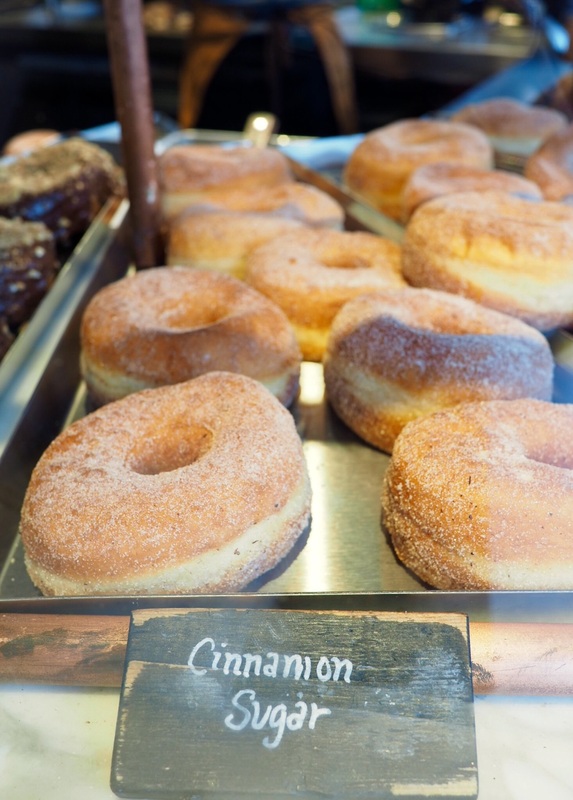 It's not exactly a secret, but if you didn't know where to look, you'd probably walk right past the entrance to City Kitchen, located at the corner of West 44th Street and 8th Avenue above the Row Hotel. Up a flight of stairs and through a non-descript door that almost feels like a fire exit, you'll find the haute food court that is one of many to spring up in the city in the last couple of years, largely in response to the overwhelming success of artisanal outdoor markets such as Brooklyn's Smorgasburg and the Hester Street Fair. City Kitchen is essentially an upscale mall food court, just without the mall, and while the food on offer is quality and delicious, it ain't no Sbarro pricewise. Choices range from tacos and cheesesteaks to sushi and ramen, and for a meal at any of the half dozen vendors, don't expect to spend less than $13. That said, a trip to City Kitchen is absolutely worth it if you're traveling with a group of friends or co-workers who can't decide on what to eat, except that it must be trendy, or if you've just had one Chop't salad too many and are looking to splurge on a delicious meal while basking in the sun overlooking 8th Avenue, judging all those who pass beneath you, like the Lord of Lunch that you truly are (not saying I've done this...). My favorite thing at City Kitchen that I must have every time I go is the "Shaved Snow" from Wooly's, that, despite its popularity at small markets like this, remains a bit hard to come by. I would compare the texture of the shaved snow as being like frozen cotton candy: fluffy and soft and nothing at all like your typical snow cone or even Italian ice. It comes in various flavors and with a number of toppings, some Asian-influenced such as Pocky and mochi, like a hip Taiwanese Pinkberry. 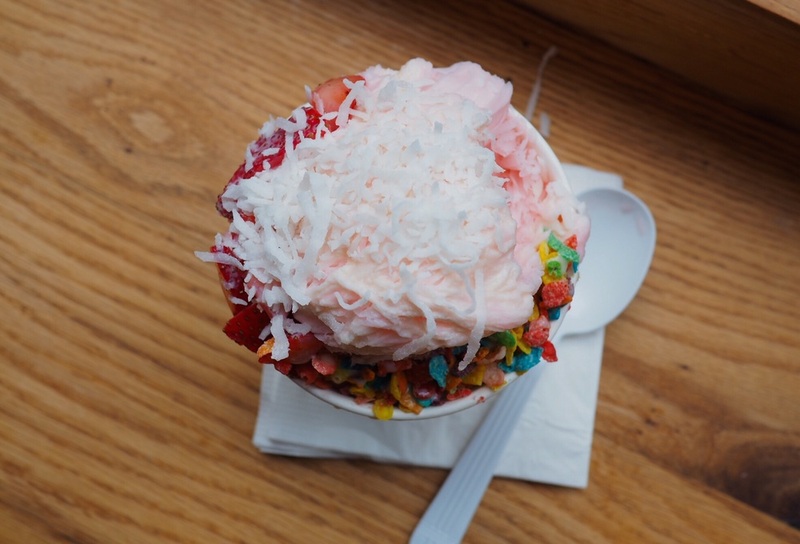 Strawberry shortcake ice with strawberries, coconut flakes, Fruity Pebbles, and dulce de leche drizzle. Fortunately the food court renaissance seems to be gaining steam in New York City, which is great news for all the hungry Midtown office workers like myself who are desperate for a taste of authenticity and innovation in a sea of sub-par salad and sandwich factories.